Winner of the prestigious Caldecott Medal, The Little House, by Virginia Lee Burton is a timeless literature piece for students K-3rd grades. Like most children’s classics, the story begins with the words, “Once upon a time”. Written in 1942, it is a true classic when still used in classrooms nearly seventy years later! This ageless story is about a house that is built on the beautiful countryside that slowly, over the passage of time, becomes centered and forgotten in a big city. In the end, the house is willed to a great ancestor who has the house transferred back to the country of its beginnings. The story is great to teach children on so many levels. Repetitive readings with this emergent reader will allow the teacher to focus on different elements of the story each time it is read. I suggest obtaining enough copies to put in students’ book bins for independent reading practice, even if they are reading it from memory and illustrations. City versus country living; agriculture versus industry- How are the lifestyles different for people? The country offers different things than the city, what are they? This activity would complement a lesson about community, parts of the world, farms, or industrialization. Setting- time, place, and seasons. The story includes, day and night, moon phases, and seasons for students to learn about. Valuing material goods- what happens when the house is neglected? How should we treat the things that belong to us, most especially our homes? How can we take care of old things? How can we keep things nice? This can be a whole separate lesson about respect for the classroom and the materials in it as well. Sequencing a story- this story has a definite progression of events that can be mapped out for the children to follow. Use pictures and words on index cards to sequence the story from start to finish or older students can do this with a graphic organizer. After several times of group practice, students can use the book as a guide to help them sequence the story independently. The circle of life- this is a great story to teach primary students about cycles in our lives and ancestry. As a culminating activity, have the students write the beginning, middle, and end of the story. 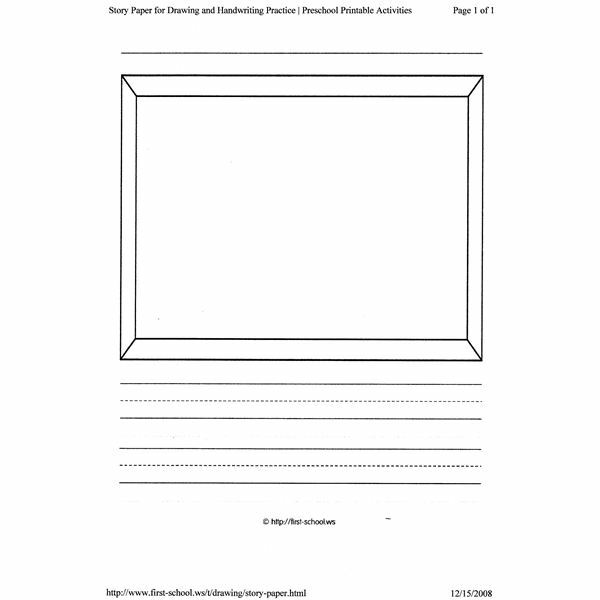 Fold a large piece of writing paper (with illustrator box) into thirds to create the beginning, middle and end, or go to the website below to download story paper and staple as many pages together as the students need to complete their work. The children can include the problem and how it was resolved, setting, and how the house felt throughout the story. They can illustrate their own books to match the picture. Information written from classroom experience; if you enjoyed these ideas or even have some to share, let me know!